Chances are that you are doing everything in the book to grow your business with inbound marketing tactics including blogging, social media, and growing your email list. Maybe you are also working hard to launch automated webinars or regular webinars, go all guns blazing with Guest blogging or link building efforts, staying busy on social media, producing infographics, creating slide decks for Slideshare, and more. Heck, on top of all that, you might also be running paid advertising campaigns on various channels available today including Facebook ads, Google Ads, Quora Ads, LinkedIn Ads, and Twitter ads. If you aren’t doing any of those, you should. If you checked out all the boxes, then it’s time to think big. It’s time to create, launch, grow, and scale up your partner program or even a simple referral program. 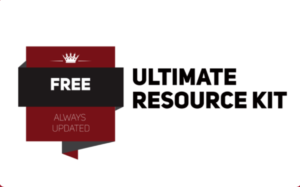 I’ve already written on Affiliate Marketing: The 6.82 Billion Proof For Growing Your Business (& Only Pay For Results) as to how affiliate marketing helps you grow, multiply, and scale up your efforts to get you the kind of results you never thought you’d get. How do you launch a partner program, referral program, or an affiliate program without breaking the bank? You’d use PartnerStack, that’s what. PartnerStack is an automated partner marketing platform. It’s a tool that allows you to create a multi-channel partner program and manage your partners, referrers, affiliates, or advocates. PartnerStack provides you with an abundance of success tools to help you set up your partners for their success. 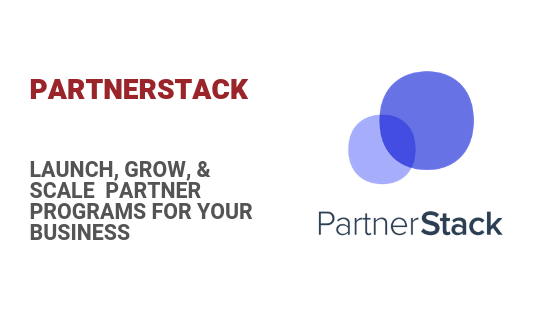 PartnerStack helps you with partner onboarding processes, providing marketing assets to partners or affiliates, communicating with your partners, and working with each of your partners at scale to make your partner program work for your business. Launch out-of-the-box affiliate programs or partnership programs for your business. Use a centralized dashboard to stay on top of your advocates, affiliates, ambassadors, resellers, referral partnerships, and more. Automate & manage partner management or affiliates management across channels. This includes asset management, automated emails, communication with affiliates, and more. Pay PartnerStack and they’ll manage partner payouts and global compliance for you. Provide access to marketing tools, referral program documents, sales success information, documents, and more to enable your affiliates or partners to succeed. Get in-depth analytics of all the campaigns that send you traffic, leads, and sales (thanks to the collective efforts of each of your partners or affiliates). With PartnerStack, you get everything you need to get your partners going right of the bat. For instance, you can equip each new partner or affiliate with a unique and custom URL. You can also have your partners direct where the traffic should go to, and then track their individual performance. As a brand, you can develop custom company pages by putting your brand at the forefront of your partner program. This includes ability to upload your logo, design your custom program sign up page, choose your brand colors, and inviting your partners. No one business is the same, but all businesses need a way to generate leads and sales. Depending on how your business works, your products, and your services, setup custom reward programs for your partners. In turn, your partners will put in the effort to drive traffic, leads, or sales for you using their own, individualized custom links. But the best part about PartnerStack is that you can set your own reward system which can automate and target the goals you seek with your partner program. Need an NDA signed by each partner as they sign up with your program? You can automate that. Want to engage with your partners with email campaigns? You’ll have access to campaign management designed for partner success. You can also boost your leads or sales with timed campaigns, launch time-sensitive sub-programs, and set dedicated time periods for bonus commissions, for instance. Of course, your PartnerStack dashboard allows you to track your partners, and each individual partners’ performance. As a business or a brand, you’ll always know where your sales are coming from, who’s generating referrals or sales, and how to improve each partner’s performance (if you prefer to be hands-on like that). How do you run a referral program or a partner program for your business?